A limited edition cask finish edition of which only 3111 bottles were produced. 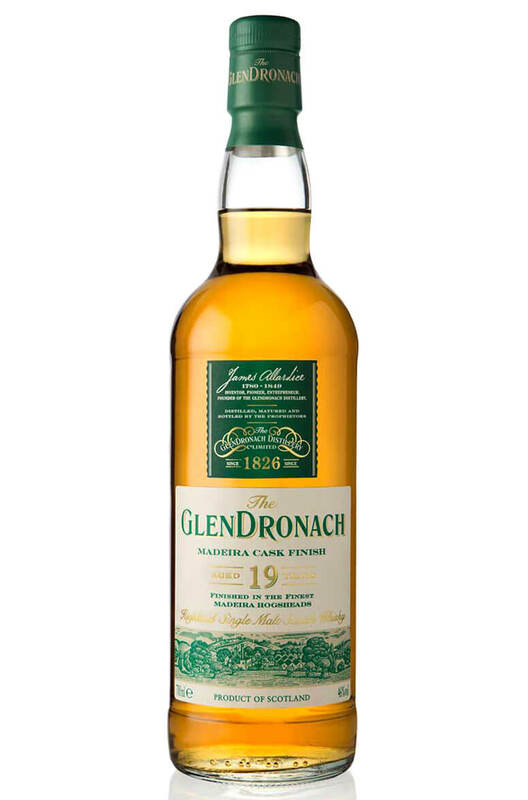 Madeira and Glendronach seem like the perfect marriage and this offers some similar flavours to the sherry cask matured releases but with more vibrant fruit characters and a slightly more spritely and fresh nature. Aromas (without water) Crisp apple and pear sweeten to apricot syrup and ripe gooseberry. A citrus twist and a touch of black pepper add a warm, contrasting depth to the ever-evolving nose. Palate (without water) Cinnamon-dusted tarte Tatin and notes of green apple skin balanced with the clean, crisp warmth of stem ginger and candied peel. Rich stewed barley lingers on the palate, adding a traditional character to the long succulent finish. A delightful contrast of ripe summer fruits and vibrant warm spices perfectly complements the robust depth of the traditional Highland style. Very richly flavoured with a heavy dose of sherry casks ageing adding rich, fruit liqueur, mocha, to..
A great addition to the Glendronach range. Like all other whiskies from this distillery this was ini..